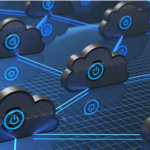 A new study shows that despite the growing use of the cloud in the government, there is still a confidence gap across agencies as federal information technology experts doubt the security of the platform. OneLogin, along with CITE Research, released the findings on Wednesday highlighting IT professionals’ strong reservations about data security in the cloud. Of the 150 professionals surveyed in the study, nearly half questioned the government’s cybersecurity measures amid its migration efforts. “These research findings reveal a confidence gap and a consequential need for stronger user access security for applications and data stores that are hosted both on-premise and in the cloud,” said Justin Calmus, chief security officer at OneLogin. The study also shows 42 percent of federal IT professionals consider the cloud as the most secure platform for government apps. However, the same group also expressed concern that a breach could still lead to malware and unrecoverable data loss. Up to 93 percent of the respondents said they are still willing to move to the cloud, but 47 percent admitted they are not fully prepared for a breach during app migration.